What’s fascinating about ‘No Time To Think’ is that it actually works better as a poem on the page than it does as a performance. jingle jangles of internal rhyme. Here we have the singer back on the edge, knowing he must make the leap, resist old love and old earthly niggling, yet with the disputatious voices of love and money, public and pleasure, politics and philosophy, all trying for his attention, leaving him no time to think. I’m very fond of this song, I can listen to it a lot, it gives me much pleasure… and it frustrates me, because I have to swallow it’s phoniness with it’s honesty. ….the album’s final song, ‘Where Are You Tonight?’ The singer has asked his lover to make the pilgrimage alongside him; she has declined; he has gone on alone. As the song opens, he is on the slow train: ‘There’s a long-distance train rolling through the rain / Tears on the letter I write / There’s a woman I long to touch and I’m missing her so much / But she’s drifting like a satellite’. Changing Of The Guards is a thousand years old. Woody Guthrie said he just picked songs out of the air. That means that they were already there and that he was tuned into them. Changing Of The Guards might be a song that might have been there for thousands of years, sailing around in the mist, and one day I just tuned into it. Just like Tupelo Honey was floating around and Van Morrison came by. Helena Springs, Jo Ann Harris, Carolyn Dennis (background vocals). 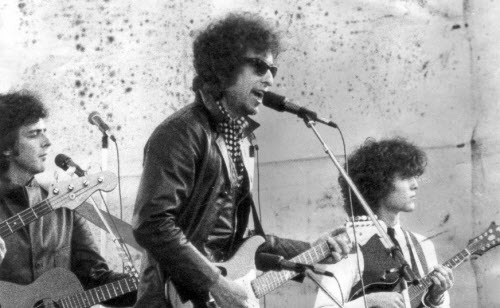 Shortly after knocking ’em dead at the “Last Waltz” in November 1976, something horrible happened to Dylan. Physically and psychologically, it was worse than his motorcycle accident, and only a handful of people ever knew about it. It explains both his eventual conversion to Christianity and his distressingly ugly singing style. Agreed, I loved his voice during this period of time. 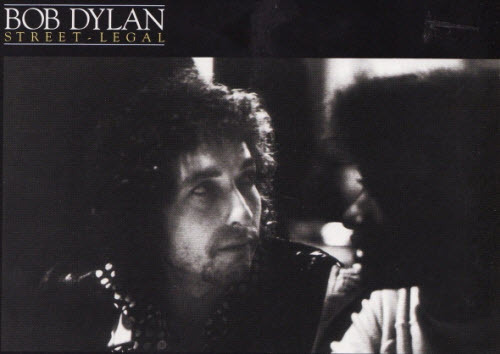 First time I saw Dylan, though a fanatic since 1961, was the “Street Legal” tour in Oakland in 1978. Saxaphone, backup singers, disco garb, it was quite a scene- but a wonderful show. 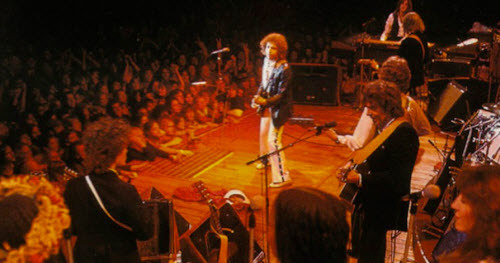 My first Dylan show was also that same 1978 tour. I was new to Dylan and liked the show OK but I confess that I left the arena scratching my head in bewilderment. I’d love to go back in time to see and experience the show again. I’m sure I’d see it very differently today. As far as I am concerned, “Senor” and “Changing of the Guards” are magnificent songs that no amount of poor recording/production could detract from. Both would make my list of “Dylan’s Top Ten” songs. 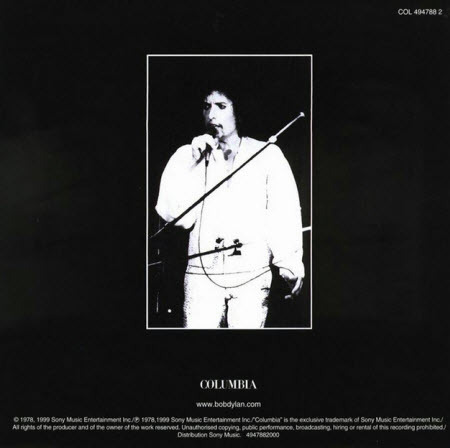 My friends and I had seats five from the front at one of the Earls Courts concerts when he perfomed the new songs from this album.For us kids it was absolute magic.Im 62 now and still sing along with Senor. I still have the official programme. ps In the comment above I made a mistake in the first part by omitting the word not, Dylan could not get the live sound he created because of the stupid modern equipment. Furthermore, when I asked the question, did they ever really listen to the musicality. I did not want to disqualify those that just did not like this kind of melodies and the way they were treated. When for instance Peter calls the intro to No Time To Think corny, that’s a matter of taste. Though I disagree with him, he has a good reason to dislike this album. Well out here in Europe, in my case Holland, we just thrived on this record. 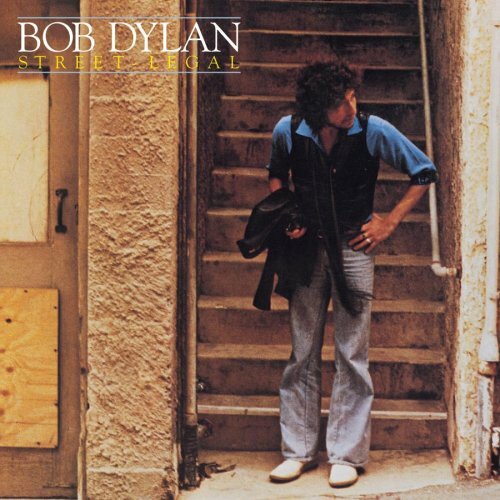 It had some of the unruly feeling of Basement Tapes, that live sound Dylan was striving for, but because of technicalities could get completely right with the stupid modern equipment, and we understood that this record would be one of the last to have that honest vibe, one that luckily has returned since Love and Theft (as a fruit of the acousitic World Gone Wrong). When Slow Train Coming was released we did not shudder in the first place because of the religious content, which had been seen as a part of his repertoire from the beginning, though not as blatantly one dimensional as here, but just because the music was too synthetic in spite of some good Gospel rythms and melodies, not to mention Dylan started straining his voice as if someone had him by the balls (must have been the devil, trying to impose on him a selfrighteous man of peace instead of Jesus, something Bob later sort of admitted when writing a song by that name ;-). Street Legal once more had these great poetical multi dimensional visions, humor (New Poney), and street wise observations (‘hang ourselves by all this tangled rope’), coupled with music that was full, yes, he got something of that organ from Blonde on Blonde, the thin Mercurial sound, and though that made it his first retro album, and as such dangerous in terms of laws of artistic inspiration, we back here enjoyed it with some melancholy of days gone by. Sure, there were some songs on the second side which already tended to the simple message bringing he would descend to during the eighties, but at least they swung and still offered some wry lines of the acerbic Rock Poet. The political correctness that spoke from the raging reaction of critics on some less succesful rhyming as: can you cook and sow, make flowers grow, made us laugh… What was wrong with asking for down to earthness in relationships that had gone pretty bad during the crazy seventies where everyone, even Dylan himself, was searching for that BIG SELF, and forgetting the simple nature of a love that wants to give? Love was in vain mostly during those days of free love, he got that right, but might have succeeded better if he had involved himself more in that picture, which by the way he did in that last song (Yourney through the dark heat), which is the best song that did not appear on Blood on the Tracks, as far as I am concerned, and I love that record… Anyway, we had the impression that Dylan had just gotten to big in the USA, and his failed film project had made him vulnerable to the attacks who wanted him to go down in the hole that they were in, did they ever really try to listen to the musicality of this record? I am a Dylan nut and love nearly all his stuff, but I really struggle with this album. Senor, in my opinion, is the shining light on a very uneven album. I find much of the instrumentation very corny sounding – “No Time To Think” being a great example. That intro/riff just sounds so awful…! Personally I think Senor is up there in the top three with COTG and WAYT(JTDH). I agree Phil… Senor is among 3 best songs from the album… better than NTTT.